Linda Erasmus, CEO of Fine & County Sub-Saharan Africa, says that well located apartments offer investors good growth potential as well as rental returns. “In the Cape suburbs, apartments also often offer wonderful ocean or mountain views,” she says. 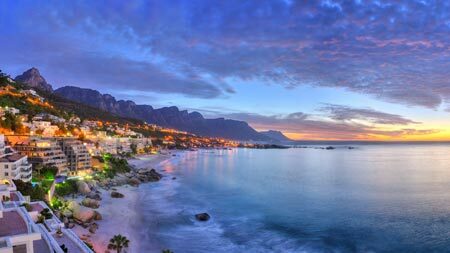 He notes that in the more expensive Atlantic Seaboard, apartments offer vacation home purchasers the all important lock-up-and-go option without having to worry about the year round maintenance associated with freehold properties. “They also provide a much more affordable entry into the market than freehold properties at approximately half the price, on average, and even lower at entry-level. These apartments are also always easy to rent, despite fluctuations in the market, because of their affordability,” he says. Apartments in the City Bowl, he says, are perfect for both young professionals and mature couples as they are central to the arts, culture and professional spaces that Cape Town is renowned for. 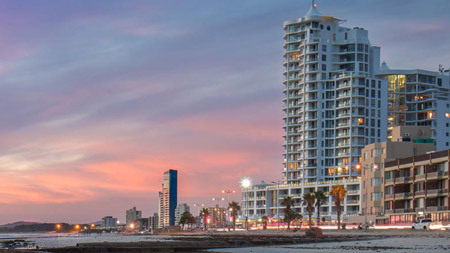 In the CBD on the other hand, apartments have been mostly seen as an investor’s affordable foothold into the Cape Town market, an affordable corporate crash pad, a young professional’s first purchase or an Air B+B opportunity. “Affordability is a key motivating factor straight across the board as well as the obvious benefits of the central position of the CBD to everything professionals and tourists alike want to be close to - 10 minutes or less to the V&A Waterfront, Parliament, convention centre, offices of many national and multi-national corporates, museums, the beach, Table Mountain or the amazing culinary culture that Cape Town has to offer makes the CBD the perfect position for many,” says Hajec. Simoné Croeser, property consultant at Fine & Country Helderberg, who operates in Strand (Beach Road) and throughout Somerset West, says that apartments in these areas are attractive to buyers for a number of reasons, mostly due to their location, security and lifestyle features and of course their appreciation potential and rental returns. “Apartments on Stand’s Beach Road are a good investment option due to the rental demand in the area and therefore the high rental returns they offer. Apartments located in the broader Somerset West area benefit from the higher than average annual growth the area achieves compared to others, as well as high rental returns,” she says. 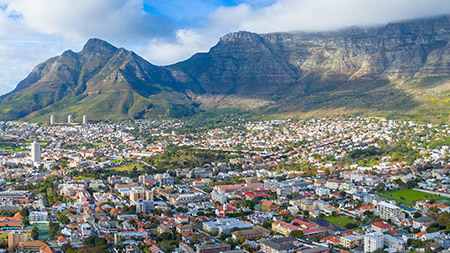 Hajec also points out that the Cape Town market is highly desirable for tourists and can attract short term renters who can frequently make one’s investment viable as an Air B+B offering. “If this model is successfully implemented and managed, it can yield a return well above average and has been a very attractive incentive that has encouraged many people into the real estate investment market,” he says. In Somerset West she says that R2million is the average sales price for a three-bedroom, ground floor apartment in the De Velde apartment complex for that includes a private garden. He points to an example of an R18million, 300m2 penthouse unit in Fresnaye, which is spread over three levels, has breath-taking sea and mountain views and its own private elevator. “There are also many examples of R2,8million to R4,5million more ‘affordable’ apartments to be found in Gardens, Tamboerskloof, Oranjezict and Vredehoek, that offer a middle class professional a place to hang their hat offering anywhere from 95m2 -175m2 of space. The rule of thumb is the older the building generally the more affordable per square metre, but this is not always the case,” Hajec says. In both Strand and Somerset West, the number one thing that buyers should look out for when searching for the perfect apartment to purchase is the overall upkeep of the building as well as ensuring that the body corporate has healthy financials. Croeser says that this is because both the general state of the building as well as the financial standing of the body corporate will impact on levies and special levies as well as the future growth potential of the apartment. Hajec says that in general price is typically the most important factor that influences buying decisions, closely followed by position. Surrounded by mountains and just a stone's throw from the beach, living in Strand feels like a holiday that never ends. Residents are friendly and always ready to help a fellow neighbour. The words ‘Hakuna Ma tata’ are the best way to describe the atmosphere in Strand. A small fishing and holiday town that always feels like home.